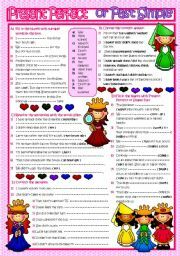 An easy ws to see the differences between past simple and present perfect.5 diferent tasks : 1) Sts fill in the blanks with the words in the box. 2) They choose the correct answer: Past or Perfect? 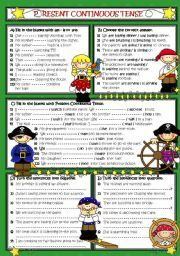 3) They rewrite the sentences ( past or perfect ) 4)Sts fill in the blanks with suitable tense. 5) They correct the mistakes. 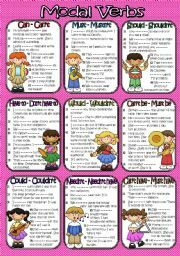 was- were activities for beginners. There are 5 tasks to practice on Past Simple "to be". Hope you find it useful. Have a nice Friday! 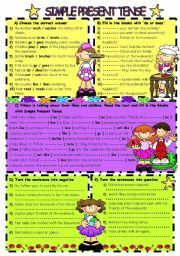 An easy task for elementary students. 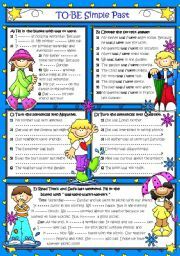 1) The sts fill in the blanks with am-is-are. 2) then they fill in the blanks with have-has. 3) they use am-is-are and have-has. 4) They make sentences by using am-is-are. 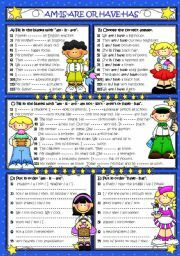 5) They make sentences by using have-has. Texts are editable. Hope to be useful :) Have a nice day! 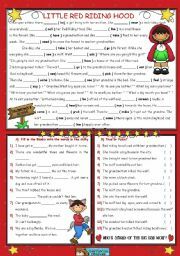 Little Red Riding Hood with Simple Pastt Tense. 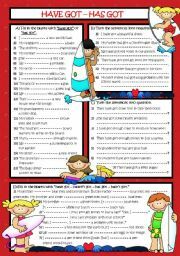 A reading and filling exercise. 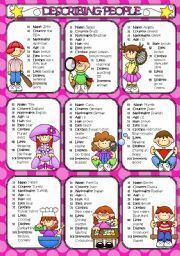 Vocabulary exercise with the words in the story. True or False activity. 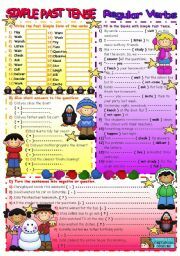 Firstly I prepared for simple present but after some comments I UPDATED it as past simple. Hope to be useful.